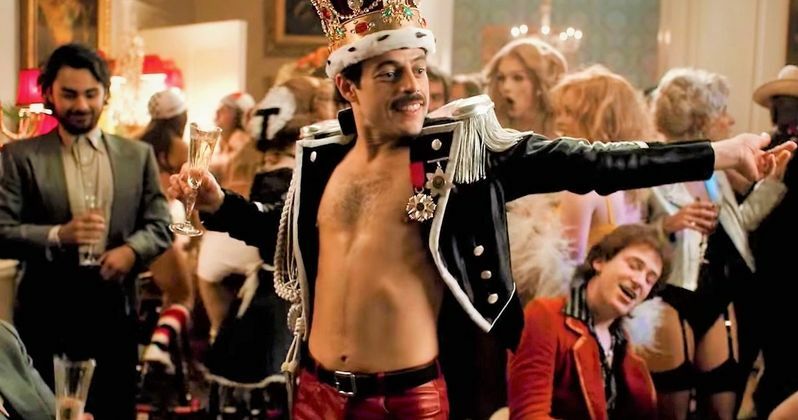 Working on Bohemian Rhapsody with Bryan Singer was not a "pleasant" experience, according to Rami Malek. The actor recently opened up about his time working with the director on the set and about the sexual misconduct allegations involving minors. Malek, along with the rest of the cast and crew have been in the spotlight a lot this awards season, but that spotlight has also brought the fact that Singer worked on the movie out of the shadows. Speaking at the Santa Barbara Film Festival, Rami Malek addressed the elephant in the room. When asked about Bohemian Rhapsody director Bryan Singer, Malek talked about the victims of sexual abuse. Malek chose his words carefully at first, and did not bring up Bryan Singer by name. He explains. "My heart goes out to anyone who has to live through anything like what I've heard and what is out there. It's awful, it's remarkable that this happens, I can appreciate so much what they've been through and how difficult this must be for them. In the light of the #MeToo era that this somehow seems to exist after that, it's a horrible thing." However, Rami Malek went on and brought up Bryan Singer by name. Malek, again chose his words very carefully as he addressed Bryan Singer's controversial past and his relationship with the director while making Bohemian Rhapsody. Malek did not go into details, but it's been reported numerous times that he and Singer did not get along at all while making the movie and the actor was clearly emotional after discussing the director. Malek had this to say. "I've sat here and talked about how everyone deserves a voice and anyone who wants to talk about what happened with Bryan deserves to have their voice heard. In my situation with Bryan, it was not pleasant, not at all. And that's about what I can say about it at this point... For anyone who is seeking any solace in all of this, Bryan Singer was fired. Bryan Singer was fired, I don't think that was something anyone saw coming but I think that had to happen and it did." While Rami Malek and Queen guitarist Brian May claim that they were unaware of Bryan Singer's sexual misconduct allegations involving minors when they started work on Bohemian Rhapsody, many don't believe them. Half of the director's Wikipedia page is dedicated to two decades-worth of sexual misconduct allegations and lawsuits. It's hard to get a job at McDonald's without someone going through a background check, which makes the decision to work with Singer a controversial one. Queen fans, along with many in the entertainment industry have put Bohemian Rhapsody under the microscope since they fired Bryan Singer. But, they fired him after 90% of the movie was complete and only after a new set of sexual abuse allegations were made public. It's an interesting time where a documentary about Michael Jackson and his own sexual misconduct allegations becomes a hit at Sundance and Bryan Singer is believed to be innocent until proven guilty. Rami Malek's comments were first revealed by The Hollywood Reporter.